By now, you know the VW story. It has been described as the greatest scandal in automotive history. GM’s negligence and incompetence led to 13 deaths because they failed to recall cars with defective ignition switches. BP’s Deepwater Horizon spill was the largest accidental oil spill in history. Firstly, because VW created software called "defeat devices" specifically designed to detect when the car was being tested for emissions and then, and only then, activate the pollution controls. This is not negligence or an accident, but deliberate dissembling that has been going on since 2009, by their own admission. The nitrogen oxide emissions they were masking make it harder to breathe and research this year "linked high levels of NOx to 9,500 premature deaths annually in London alone." The CEO, who was formerly head of quality assurance [you can’t make this stuff up], has just resigned. And secondly, because no one really liked GM or BP that much, anyway. Focusing on sophistication, simplicity and a sense of humor, Think Small and Lemon launched the VW brand in the USA, the reputation of DDB and the ‘creative revolution’. The campaign continued with hundreds of excellent pieces of creative work. It is not an overstatement to say it changed advertising forever. In 1964 they struck gold at Cannes with the television spot that asked "Have you ever wondered how the man who drives a snow plough drives to the snow plough?" It has been dubbed the best campaign of the twentieth century and the brand continued to have a long and glorious relationship with advertising. In 2005 it was still working with DDB and released the beautiful, startling "Singing In The Rain" spot that updated Gene Kelly’s dance moves with some modern movie magic. This creatively inspiring history is forever somewhat tainted, retroactively, by the scandal. But worse still is the advertising that has been made, and lauded, since they started poisoning the world to make more money. 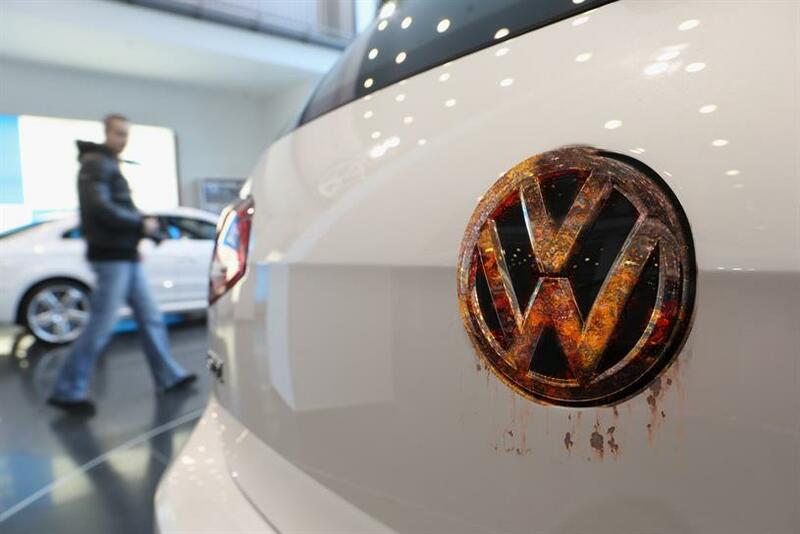 The same year they started to install the software that cheated on emission tests, VW launched The Fun Theory to promote its Blue Motion technologies that promised great performance but reduced environmental impact. The series of films that sought to see if fun could be used to improve people’s behavior were shared millions times and won every ad award imaginable. This is beyond the analeptic irony of earlier campaigns. It now seems like a horrendous, calculated piece of misdirection by a brand doing exactly the opposite of what it claimed through advertising. In 2011, a few days before Super Bowl Sunday, VW launched The Force, a spot which Time Magazine said "Changed Super Bowl Commercials Forever". They hadn't run a Super Bowl spot in more than a decade and had a 60 second cut they felt was stronger but only 30 second slots of airtime. It was charming, nostalgic, guileless and Star Wars themed. So they decided break ranks with perceived wisdom [which is usually a good idea] and release the spot online before the game. It remains the most shared Super Bowl spot of all time. And in 2015 they ran a series of clean diesel ads: "Efficiency. Now available without compromise." "Old Wives’ Tale: Diesel Is Dirty." and finally "Truth in engineering." It’s heartbreaking and darkly funny to the rest of the world. But it’s not funny to us. They lied to the world and they lied not only to us, but through us. VW became the world’s biggest car manufacturer earlier this year and its agencies were rightly jubilant and appropriately praised for their roles in this achievement. Sadly, that high point only makes this fall from grace all the more depressing. For it reminds us that too many corporations still seem to work by Milton Friedman’s maxim that the only "Social Responsibility of Business is to Increase its Profits" - also known as the "world’s dumbest idea". It reminds us that they used advertising, they used our creativity, to make people like them, to sell half a million cars that cheated on tests, broke the law and spewed toxic gases into our air. It reminds us that how companies behave is, ultimately, more important a contributor to their brand than advertising can ever be. It reminds us that sometimes we work for amoral organizations that ignore human costs and the law to shore up the bottom line and make us unknowingly complicit in their betrayal of humanity. And that will leave a sour taste in all our mouths for a long time to come. Faris is co-founder of Genius Steals, an itinerant strategy and innovation consultancy he started with his wife, Rosie and is the author of Paid Attention.